The UK government has confirmed that it will increase the price of the BBC licence fee from £145.50 (€170) per year to £147 from April 1. 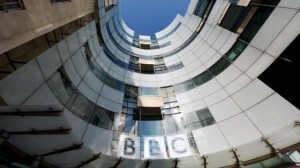 The price rise marks the first time the licence fee has increased since April 1, 2010. Licence fee payers will receive a payment plan or a reminder reflecting the new amount when their licence is next due for renewal, and those buying or renewing a licence after 1 April will pay the new fee. “The Government is responsible for setting the level of the licence fee, and last year announced that it would rise in line with inflation for five years from 1 April 2017,” said the BBC in a statement. It added that viewers already buying a licence on an instalment scheme that started before April 1 – such as monthly direct debit or weekly cash payments – will continue to make payments totalling £145.50 until their licence comes up for renewal. All UK viewers who watch BBC television or access programmes on-demand through its iPlayer catch-up service are required to pay the licence fee. This follows a change in the law last September, which closed a ‘loophole’ that meant UK viewers who only accessed non-live BBC programming via the web did not need to pay. Later the same month the BBC also said that from early 2017 all viewers will be required to sign into the BBC iPlayer, as part of a plan by the UK broadcaster to offer a “more tailored BBC experience”. The BBC said at the time that TV Licensing will have access to information provided by logged-in users, but claimed this will not be used for enforcing licence fee payments.